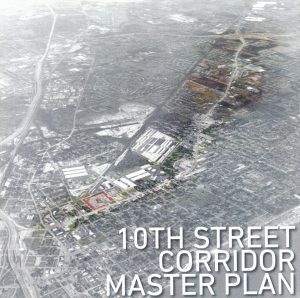 Welcome to the 10th Street Corridor Master Plan Website! After a five-month planning process, three public meetings, and over a dozen meetings with various stakeholder groups, the Planning Department brought the “10th Street Strategic Investment Plan” for approval before City Council on May 7, 2018. The plan was approved unanimously by Council and is now an official part of the City’s Comprehensive Plan. With significant reinvestment in Downtown Jeffersonville and the River Ridge area, the City’s department of Planning and Zoning is now turning its attention to Jeffersonville’s primary arterial Street: Tenth Street. The City is now embarking on an 8-10 month study of Tenth Street from I-65 and the 265 interchange with help of nationally recognized planning firm MKSK. The goal of this project is to provide a comprehensive physical and economic analysis of the corridor that leads to recommendations for physical improvements and policy changes that enhance the corridor. This project will build upon the infrastructure upgrades that are currently underway in order to encourage redevelopment along the corridor and improve its aesthetics. Working with landowners, business leaders, community organizations, developers and civic institutions along the corridor, we hope to bring back a sense of vitality to this important corridor. 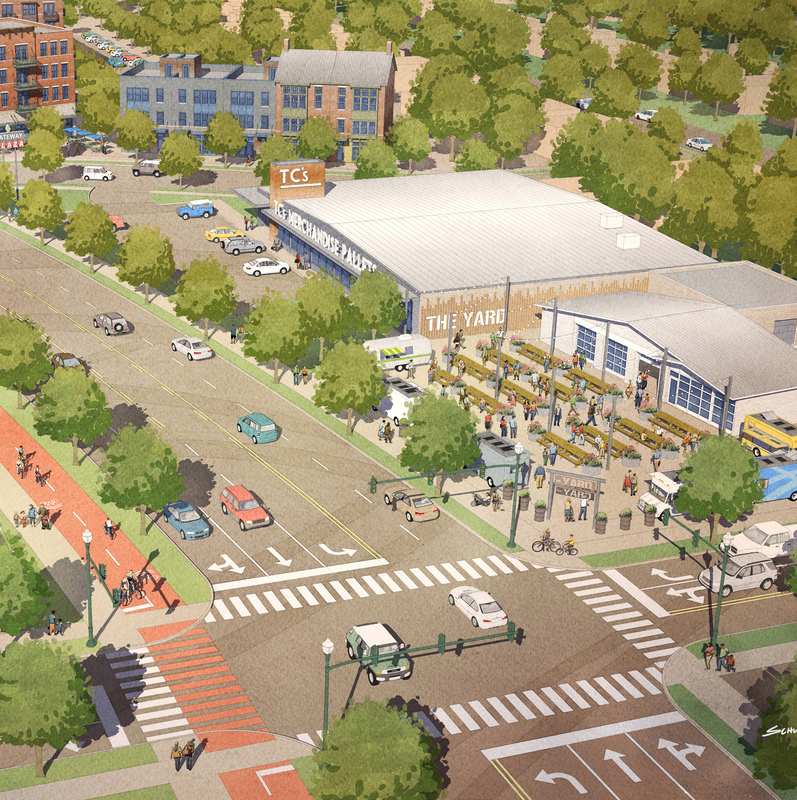 Why: The 10th Street corridor is currently undergoing a series of challenges and opportunities that affect its short and long-term viability as a vibrant crosstown connector. In the short-term, the corridor is undergoing a change in its retail offering, as established businesses in the central portion of the corridor are moving northward and are replaced by auto-oriented businesses and discount retailers. In the long-term, job growth in River Ridge and Jeffersonville’s continued downtown revitalization may result in increased traffic volumes and a need for businesses that cater to the influx of new employees. Left to its own devices, transportation issues will continue to mount while diminishing the reinvestment potential of the corridor. Who: The City of Jeffersonville has engaged the urban design practice of MKSK, the real estate market intelligence firm Greenstreet, and the transportation and civil engineering firm BF&S. The City of Jeffersonville will manage the effort with assistance from a project Steering Committee and a Technical Advisory Committee. Where: The Study Area includes the 10th Street corridor right-of-way and its immediate parcels, spanning from Interstate 65 in the southwest to Indiana State Road 265 in the northeast. What: The study will serve as the guiding vision for the City and its partners to successfully leverage 10th Street as part of its overall growth strategy. This planning process will assess the current state of the corridor, evaluate its market opportunities, test a variety of options for public infrastructure investments and private development, and provide a phased roadmap for decision making in the future. How: The study will be done in coordination with stakeholders, the project Steering Committee, and a Technical Advisory Committee. It will be done in three stages: Project Understanding, Testing Ideas, and Deciding. At each step, the Steering Committee will be engaged to review materials and offer feedback. The outcome will be a user-friendly and graphically-rich document that will provide the City of Jeffersonville with a vision for the corridor and an implementation strategy. The following materials are presented from prior phases of the project.